More than 25 years ago I decided that I would ingest only foods that would contribute to my health and well-being, and avoid “non-foods” that have no nutritional value. Things like chemical-ridden processed foods and zero-nutrition soft drinks were officially off my food list. I haven’t eaten meat since 1978, and I spent about 12 years on a vegan diet before returning to eating occasional eggs and goat or sheep cheese. I eat local, organic and homegrown foods whenever possible and always cook from scratch. Fortunately, I love to cook. There are times when I enjoy eating sweet treats at friends’ homes or on special occasions. I’ve tried being a dietary taskmaster with myself and found the “middle way” to be the healthiest path. There are few things less pleasant—or healthy—than flogging oneself for eating an occasional less-than-optimal food choice. The treats I occasionally indulge in are just that: treats. They are not my mainstay, and they do help keep me from falling into the trap of dietary self-righteousness, a common malady among healthy eaters. Plus, treats are fun and sometimes they hit the spot. I like Michael Pollan’s advice (1): “Eat food, not too much, mostly plants.” Despite my occasional treat diversions, my everyday diet is healthy, whole, organic food that contributes to my wellbeing. When I frame my diet this way I don’t feel at all deprived because I know that everything I eat counts. What Makes for a Sustainable Yoga Practice? In the past 20 years or so, my intentions for healthy yoga practice have shifted in the same direction. My practice has shifted to focus on those poses that allow me to live gracefully in my body. I no longer practice poses that do not support my body’s evolutionary purpose: standing, walking, sitting, squatting, running, hiking, getting up and down off the floor. A healthy yoga practice has required me to cross a lot of poses I once loved off my practice list. Extreme backbends? Nope. Headstand? Nope. Extreme hip openers? Nope. It’s not that my body won’t still do these poses. It will, even with bilateral hip replacements. But I realize that there are physical consequences that I’m no longer willing to abide. Living without pain, being able to walk and move with fluidity is now more important to me than achieving fancy poses. My practice has become very simple. It feels good—physically, mentally and emotionally—while I’m practicing. On the other hand, my ego has not always been pleased with my change of direction. I’ve had to drag it kicking and screaming into simpler practice. Early on as I was beginning to shift my practice, I felt periodic remorse about giving up fancy poses. For decades, a fair amount of my self-worth was dependent on being a person with a body that can do anything and rarely suffer any negative consequences. Who am I if I don’t do fancy poses? But bodies, like everything else, change, as do our minds and hearts. “But I like fancy poses,” you say. Fancy poses are fun. I agree. But in hindsight, I sometimes wish I hadn’t made them a staple of my yoga diet back in the day. My hip and sacroiliac joints are unstable (although my titanium hip joints work better than my original ones). I attribute this at least partly to the fact that I made extreme yoga so important. So here’s what I recommend for a healthy yoga practice: Practice fancy poses sometimes if you really want to. Or don’t. If you choose to practice fancy poses, have fun with them. But think of them as dessert. They provide the same kind of instant gratification as sweet treats, but like sweet treats, they can also take a toll. That adrenaline rush you get from extreme backbends will bring an edgy exhaustion later on, and overstretching your joints may feel good now. But your nervous system and joints may not weather well over time if fancy poses are your focus. If you choose not to practice fancy poses, know that yoga asana practice was not traditionally designed to be about performing. Yoga asana practice was meant to help prepare the human nervous system for meditation. The basics—standing poses, balance poses, easy backbends, simple twists, forward bends—are the staples of a healthy yoga practice. A simple, mindful practice provides sustenance. Extreme yoga is fun in the moment but may leave you with the yogic equivalent of a sugar hangover—not to mention chronic imbalances later on. Our bodies and minds are constantly evolving. It’s part of being alive. If your yoga practice is to stay healthy and vibrant, it will evolve too. Of course, the way your practice or my practice evolves is entirely up to us and depends on the truth of our bodies and minds in the present moment. Be open to what your body and mind are telling you and revisit your intentions for practice. It’s okay for practice to change. An evolving practice is a living practice. 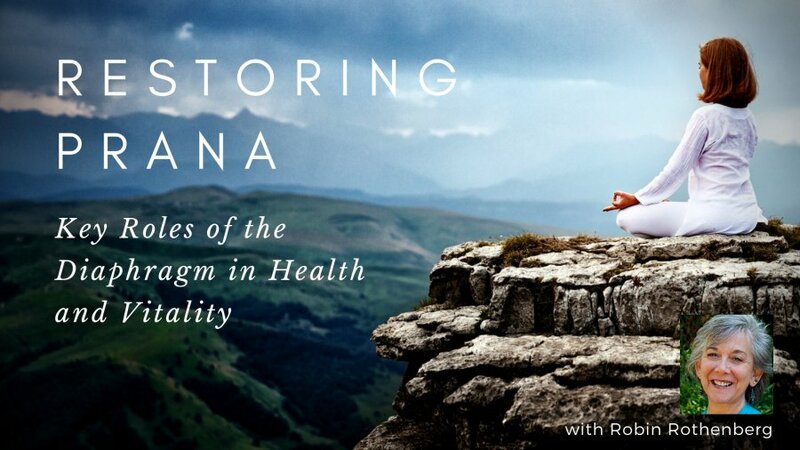 More great information to promote healthy aging- study with YogaUOnline and Robin Rothenberg- Restoring Prana: Key Roles of the Diaphragm in Health and Vitality. Reprinted with permission from Hugger Mugger Yoga Products Blog. Charlotte Bell began practicing yoga in 1982 and began teaching in 1986. She was certified by B.K.S. Iyengar in 1989 following a trip to Pune. In 1986, she began practicing Insight Meditation with her mentors Pujari and Abhilasha Keays. Her asana classes blend mindfulness with physical movement. Charlotte writes a column for Catalyst Magazine and serves as editor for Yoga U Online. 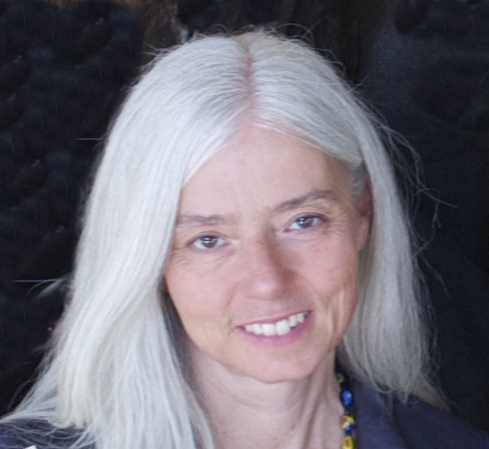 She is the author of two books: Mindful Yoga, Mindful Life and Yoga for Meditators, both published by Rodmell Press. She also edits Hugger Mugger Yoga Products¹ blog and is a founding board member for GreenTREE Yoga, a non-profit that brings yoga to underserved populations. A lifelong musician, she plays oboe and English horn in the Salt Lake Symphony and the folk sextet Red Rock Rondo whose 2010 PBS music special won two Emmys.